What is Marine Real–Time QC and Why Do I Need It? 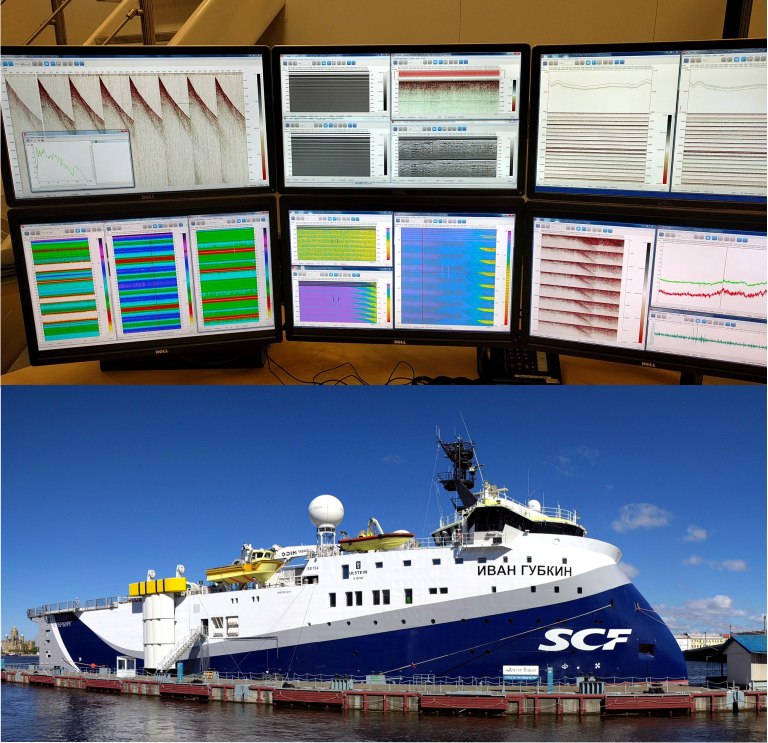 Real–time QC is onboard seismic source and data quality control as soon as the data is received during marine seismic acquisition. It is aimed to identify any problems with seismic acquisition at the very same moment when they happen. This allows seismic crew fixing the problems immediately, minimizing related loss of operational time and money. Nowadays RT QC is the industry standard for marine seismic operations. 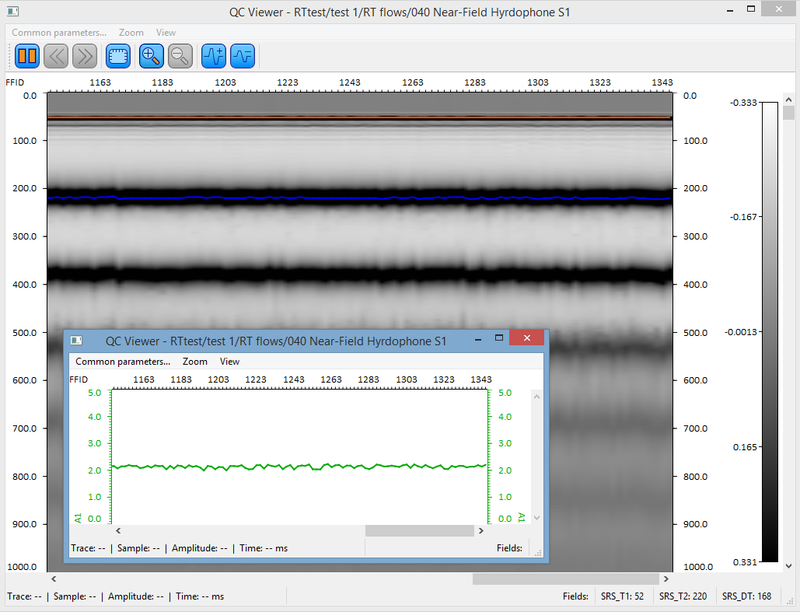 Source control products: near–field hydrophone signature, bubble peak amplitude, time and period maps and plots, source towing depth plots, flip–flop source identity plots. Data control products: shot gathers, near–trace gathers, SOR/EOR/TARGET RMS amplitude maps, signal–to–noise ratio map, real–time 2D CMP/CSS stacks, frequency plots. This set of products helps to control most of things happening on board related to seismic acquisition. By monitoring them, QC personnel and/or observers can easily identify out-of-spec issues like bad shots, dead or weak channels, source air leakages, misfires, flip–flop source identity loss, low signal–to–noise ratio, strong noises, etc. Many of these issues require immediate action and reporting. The software runs on a PC, saving processing time of your server nodes. It connects to the data storage and input a shot record as soon as it is written. Each shot is read only once, to avoid network overload. After a shot is loaded into the local RAM of the PC, it is input to the pre–defined QC flows that all run in parallel locally. All real–time displays run and update locally as well, without slowing down the network. Standard fully customizable shot gather display. A user–defined number of shots can be stored in memory and reviewed during acquisition. Several noisy shots can be seen at the start of the profile. Near–field hydrophone and its bubble time period graph are displayed. Horizontal scale is shot number, vertical—channel number. Notice purple stripes on the image. The horizontal one indicates that channel 55 is dead, the vertical one—that shot number 1360 was bad. Purple areas around channels 200–240 indicate week channels due to weather conditions. Just one amplitude map can tell us a lot about what is happening onboard! How Do I Export Results? All QC images are saved to pre–defined folders automatically after each line and stored in structured order, from where can be easily imported to an EOL report. Furthermore, all QC results can be saved to the processing project database, to be later played back or exported into SEG–Y files.